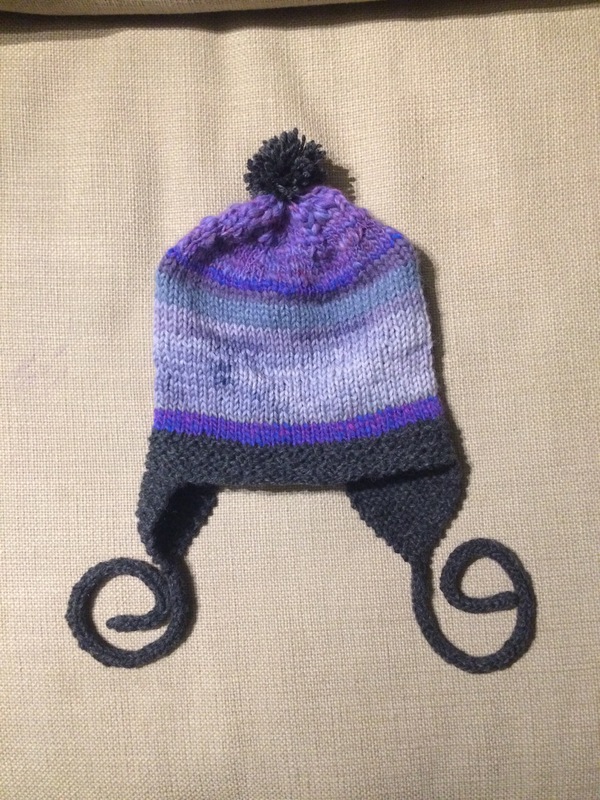 Tonight I finished the hat that made me sneeze. You may or may not have noticed that I am not a big fan of the Pom Pom, but I made an exception in this case. I think the Pom Pom really ties the hat together. Used to hate pom poms, but now that I use the Clover pom makers I love them!!! I can’t stand knit shops that have cats, allergic to them. and wouldn’t you know, the one we knit in each week has a cat!!! I have a terrible pom pom maker, which is probably why I rarely make them!! !